*The Last Redeem Date is also the final Play It Again entry deadline for this game. Entries received after this date will not be eligible for any Play It Again prize. All prizes remaining are estimated according to winning tickets that have already been claimed. 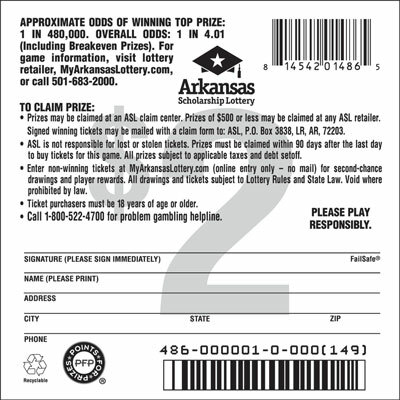 The ASL is unable to determine how many winning tickets were lost or purchased but as of yet remain unclaimed. All win combinations for each prize amount have been combined into the same prize tier row. Prizes remaining are updated daily. 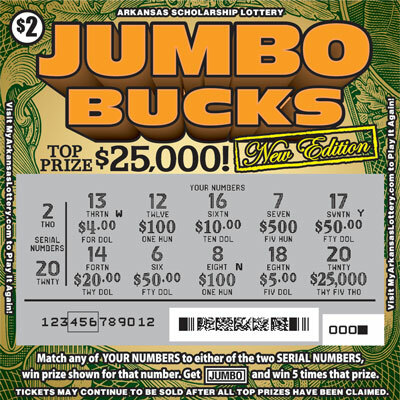 Match any of YOUR NUMBERS to either of the two SERIAL NUMBERS, win prize shown for that number. 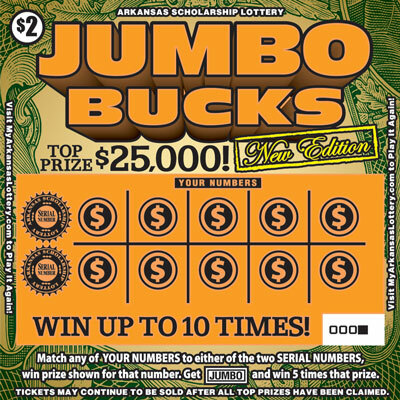 Get a "JUMBO" symbol and win 5 times that prize.